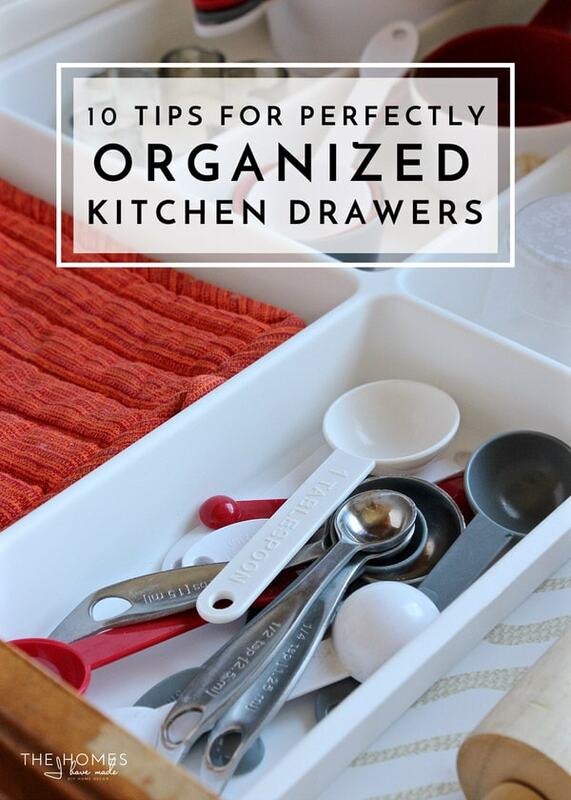 The alternative title for this post could have easily been “Don’t Underestimate the Power of Organized Kitchen Drawers,” but I thought it was a little dramatic. But, really…it’s so true! 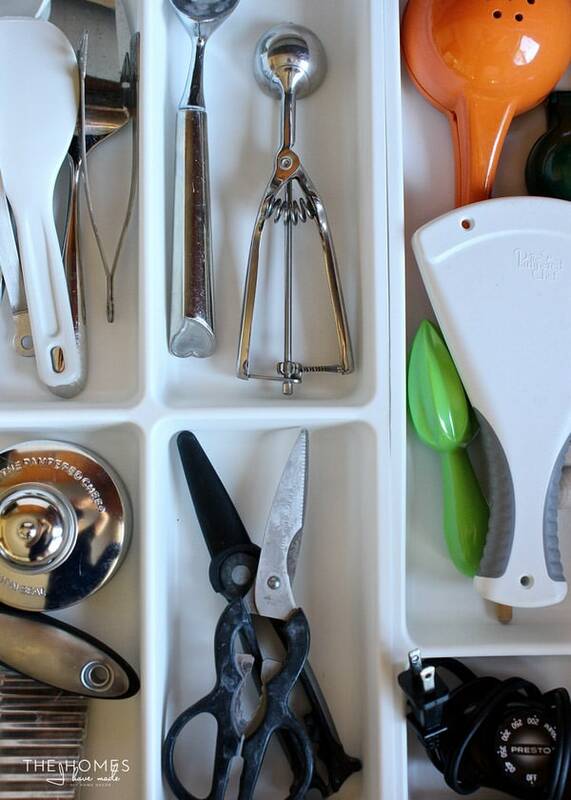 After systematically working through our 8 large kitchen drawers, each and every one is now purged, sorted, and perfectly organized…and I can’t even begin to tell you how nice it is to finally be able to see and find everything at a glance. Like with any new house we move into, it always takes me a bit of time to figure out how we use our kitchen (and therefor, each drawer), and get the right systems in place. 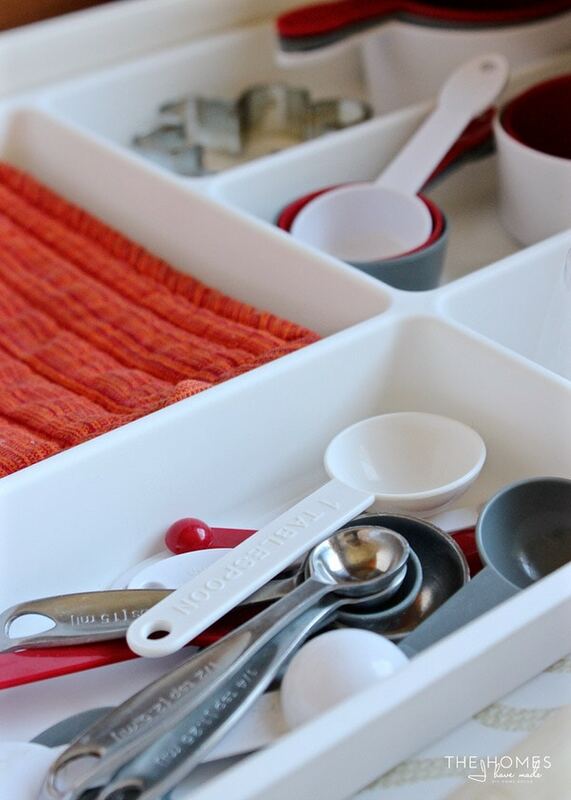 Now that our drawers are in tip-top shape, I thought I would not only give you a tour of them, but also share my tried-and-true tips for getting perfectly organized kitchen drawers in your kitchen! Let’s get to it! 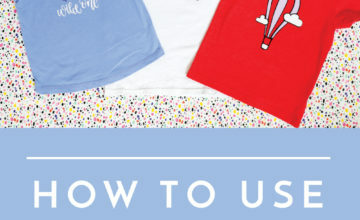 TIP #1: GET RID OF THE JUNK! 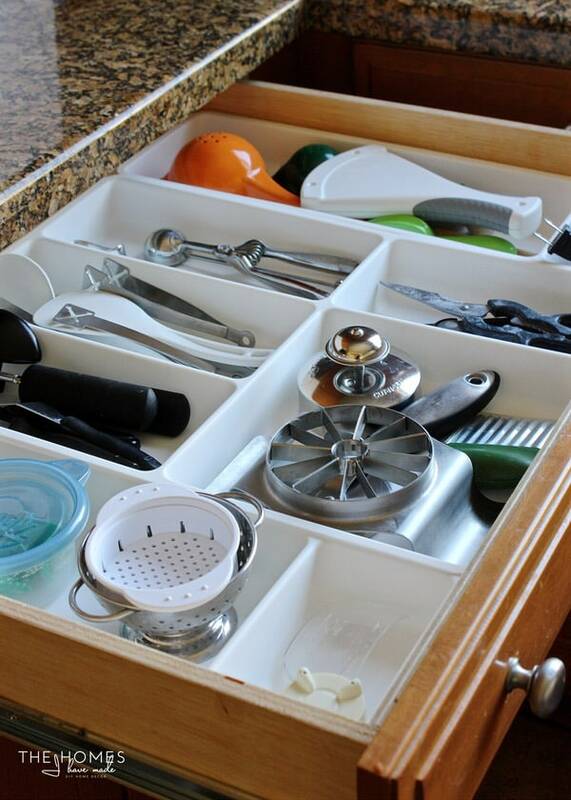 There is no point organizing your kitchen drawers if they are filled with a bunch of stuff you don’t want or need. Before even sorting, shopping for organizers, and making it look all pretty, take some time to go through each item in each drawer and decide 1) if you want to keep it, and 2) if it’s in the right place. I always try and do a purge BEFORE we move so that when we are setting up our new place, I’m already ahead. But even this time around, I needed to go back through and re-look at some things. Some wine charms we never use, broken bag clips, random kitchen gadgets, and worn oven mitts were all thrown out. With all the junk gone, I then set my sites on organizing what all was left! 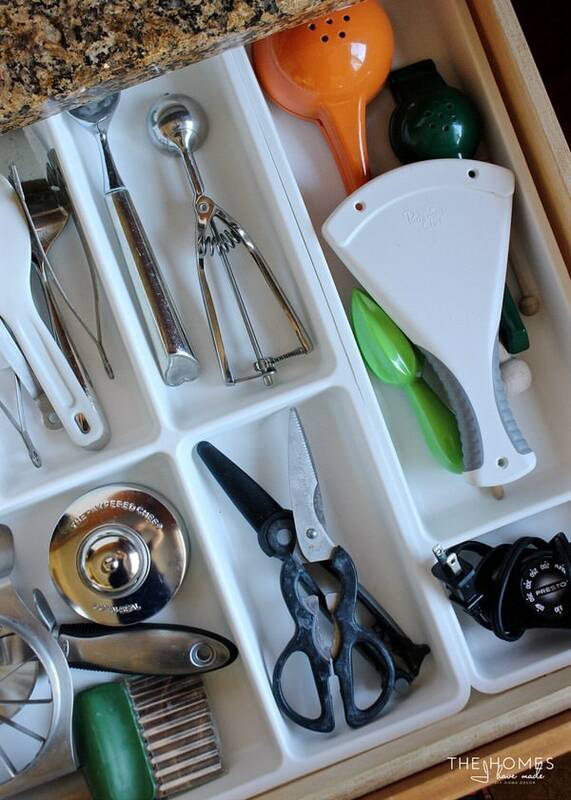 Our “junk” drawer sits in the peninsula, right smack in the middle of the kitchen where food prep, meal plans, and so much more happens. As such, we really wanted to outfit this drawer with more than just odds and ends: we wanted it to house some of the things we reach for most often. 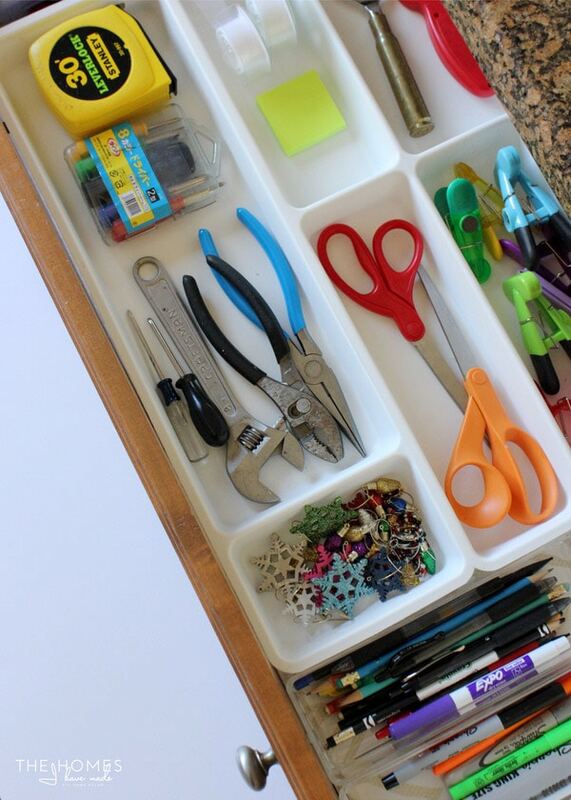 As such, our “junk drawer,” holds everything from basic office supplies to tools, bottle openers, wine charms, toothpicks, scissors, magnets, random hardware and more! This one is probably pretty obvious, so I’ll throw it out there now. 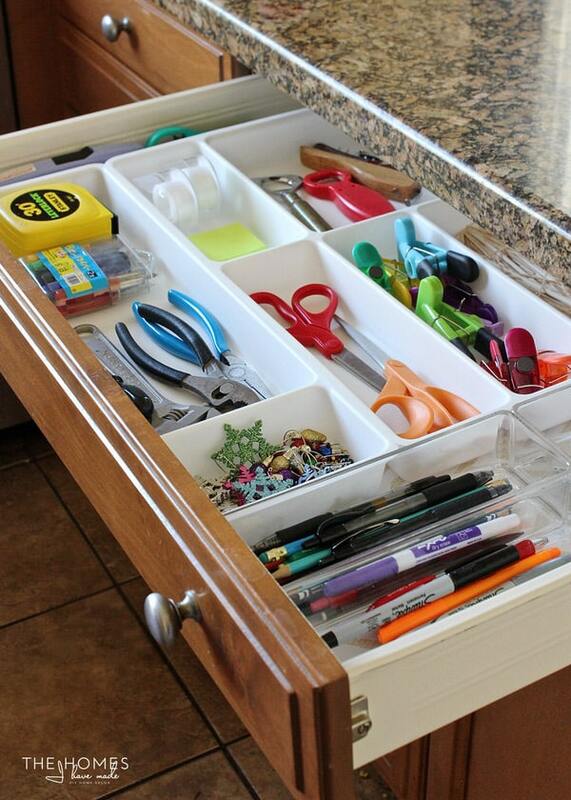 Drawer organizers are the ideal way to create order out of drawer chaos. Now, as you will see, they aren’t always necessary or effective based on what you are storing. 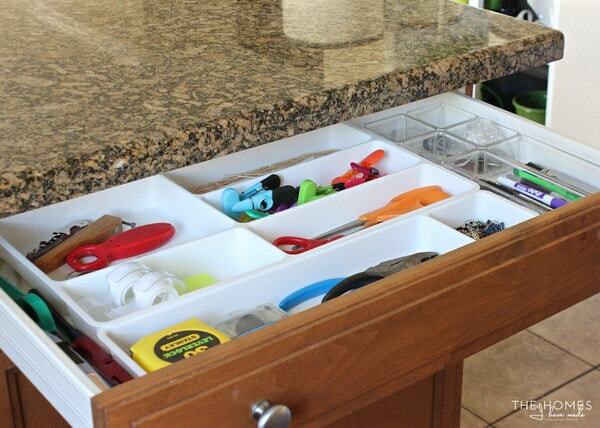 But for large, spacious drawers (where things can float around too easily) or drawers that hold lots of little things (like this junk drawer), drawer organizers are worth every penny. 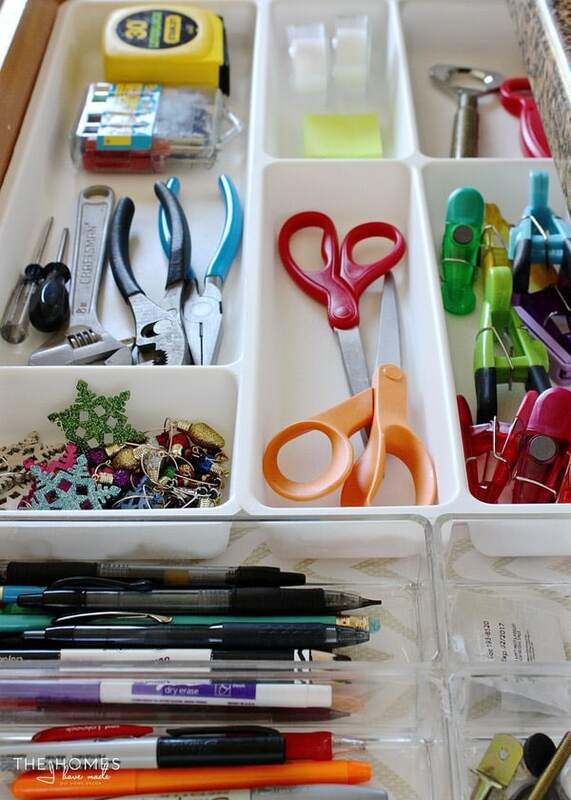 That said, drawer organizers are not created equal, so part of really maximizing the storage in your drawers is finding the “right” ones for YOUR drawers and lifestyle. Each one of our 8 kitchen drawers have different widths, depths, and heights. And wouldn’t you know that most of the organizers we already had didn’t fit quite right, leaving LOTS of wasted space in each dawer. After a good bit of measuring, brainstorming and looking at lots of options in various stores, I ultimately decided that these super inexpensive organizers from IKEA were the right solution. Not only were they super cheap, but they filled out our drawers really, really well. Also the compartments in each organizer were large enough to hold what we needed to store. There is nothing worse than having a bunch of pretty drawer dividers that are too small to hold anything! 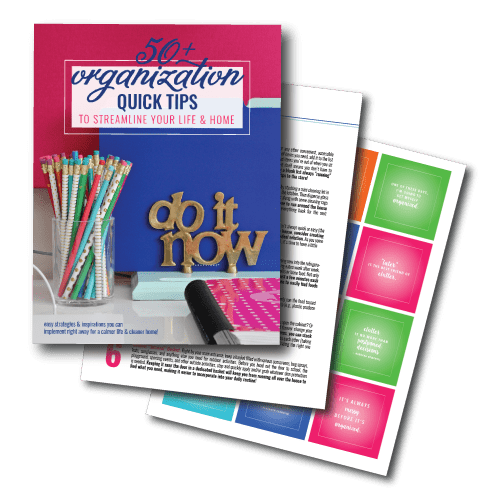 So when you are on the hunt for the “right” organizers, measure and plan out what you need first, shop around a lot, and make sure what you settle on will hold everything properly. Even with really precise measuring, planning, and shopping, it’s pretty rare to find off-the-shelf organizers that fit your drawers perfectly. However, I HATE wasted space, so I do what I can to minimize the “empty” space leftover by an organizer. 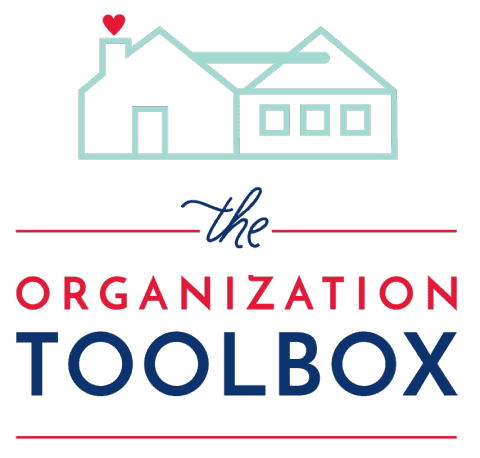 First, rotate your organizers in every possible configuration to find a solution that uses the most amount of space. 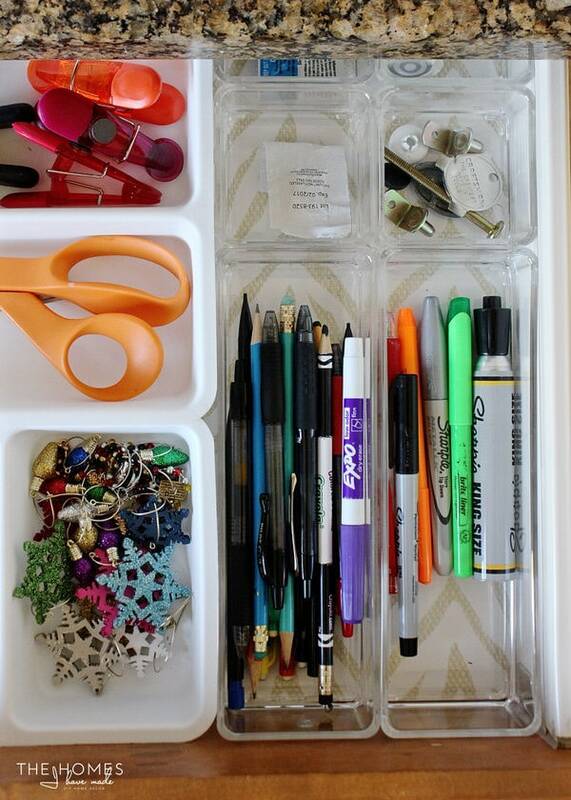 Then see if you can add in other organizers, boxes, or containers to fill up empty space and make the entire drawer more functional. In our junk drawer, the IKEA organizer (rotated sideways) left quite a bit of room. I rummaged around our garage and found these clear acrylic organizers that also fit really well and provided me with even more space to sort pens/markers and other odds and ends. I used thick double-stick tape on the base of the organizers to keep everything snug, in place, and functioning as a single organizer! You’ll even notice on the far left of the drawer, I left a small channel that perfectly holds our fire starters. This was 100% intentional, but I only discovered the possibility after shifting the organizers around 100 times. So just play around and find an arrangement that works best in order to use up every possible inch! Just to the left of the junk drawer is a stack of four skinny drawers. Let’s have a peek in each of them! For some reason, some of our drawers don’t pull out ALL the way out. It’s somewhat annoying, but I’ve discovered these spots are great for storing things that we want to keep but don’t often use. 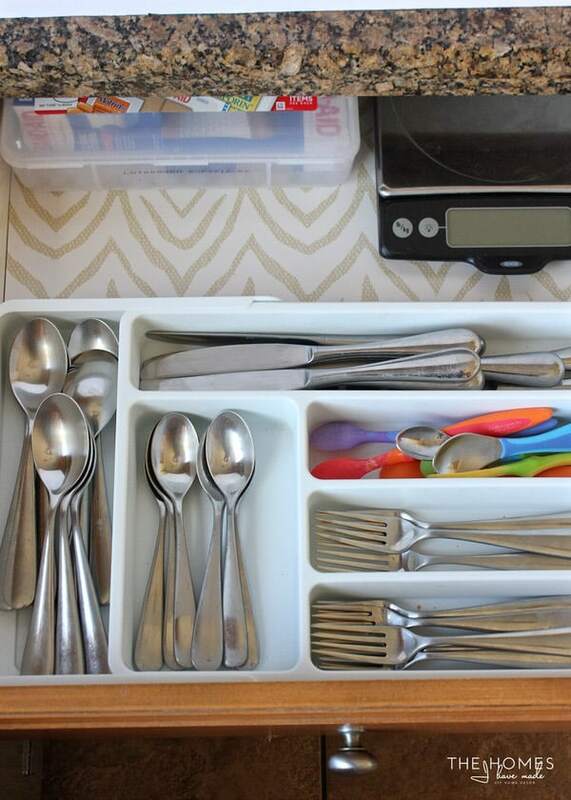 In our silverware drawer, I realized that its usual (vertical) configuration left us with two problems: 1) too much wasted space on the side, and 2) we couldn’t easily get to the items in the back of the organizer. However, by rotating the organizer sideways (which we’ve never done before), it opened up the whole back of the drawer for larger items. Now our food scale and first aid kit, neither of which had a logical home when we first moved in, have a handy yet out-of-the-way home! The next drawer down holds all of our bags and wraps. This is another situation where it’s like a Tetris game…you just have to play around with your drawers to find the right arrangement that allows you to store everything you need while keeping it all accessible. I’ve briefly mentioned this already but it’s worth repeating. I like to arrange things so they are as snug as possible (when I can). It really bothers me when I pull a drawer open and everything slides all around. For all of my drawer organizers, I use thick double-stick tape to keep them all secured to the drawer base. But in other drawers where that isn’t necessary or practical, I try to arrange things so they don’t slip around too much. In this drawer, I use our extra/unopened boxes of baggies tucked into the back to hold everything else in place. 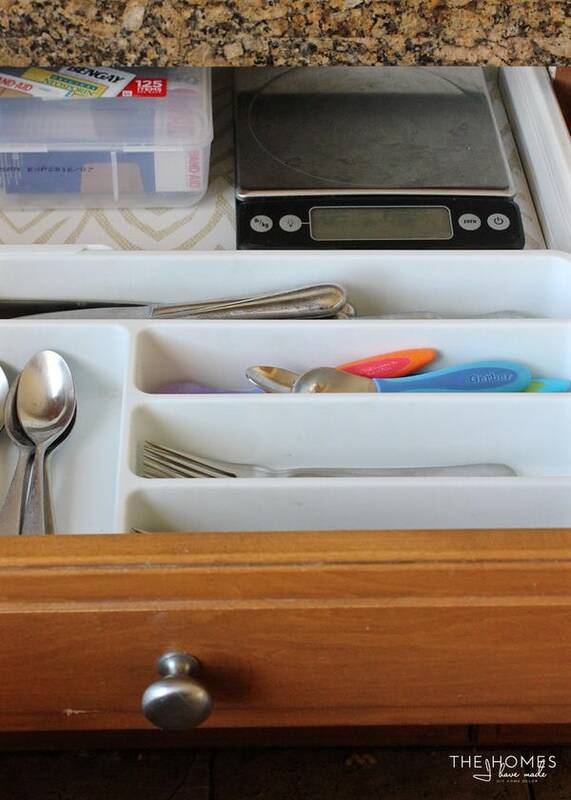 Again, this often requires playing around a bit, but if you can arrange things so they fit tightly, you’re drawers will remain tidy no matter how much (or how forcefully!) they are opened. 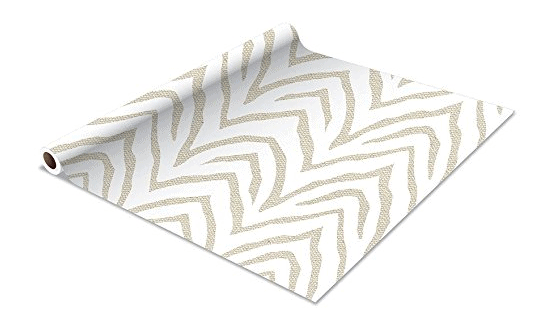 You’ve probably noticed already, but as I was working through our drawers, I also lined lined them in some fun tan+white zebra contact paper. 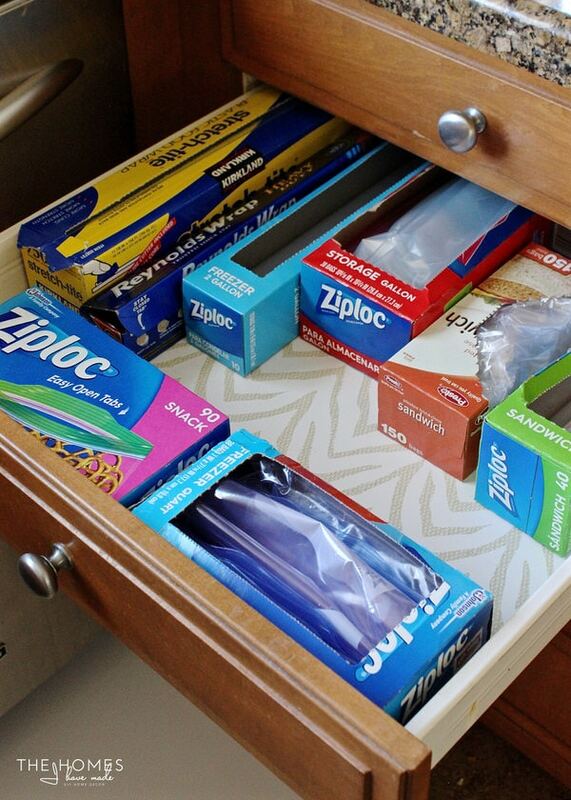 I’ve lined the drawers in many of our homes for a few reasons. The first is that I just enjoy seeing a pop of pretty when I open our drawers. It’s a little and easy detail that makes this house feel more like ours’. 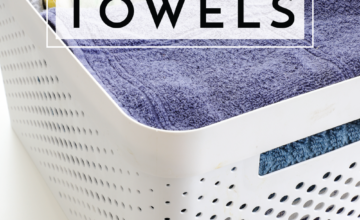 It also helps keep the drawer surfaces clean from daily wear-and-tear. 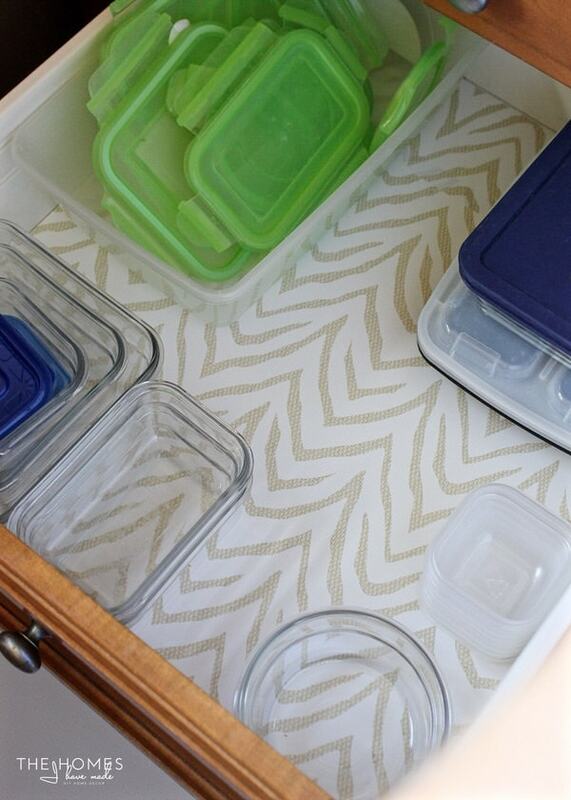 Not only is contact paper typically more wipeable than most interior drawer surfaces; but when it’s time to move out, we can just peel and go without having to worry about cleaning the inside of each drawer. 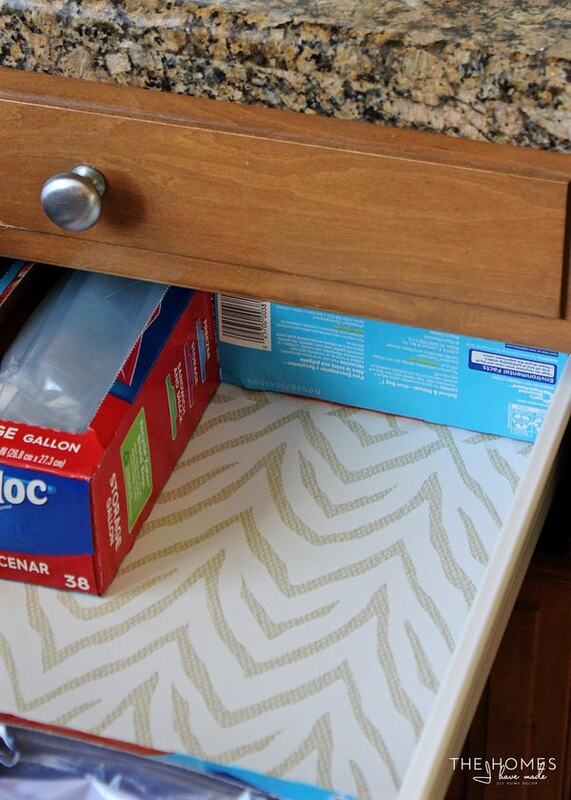 I do have some drawer liner tips and tricks I’m going to share in a few weeks, but one tip I used here is to only paper where it counts (i.e., exposed areas). Instead of papering the full bottom of every single drawer, I determined where all my organizers were going to go first and then papered the exposed areas only. 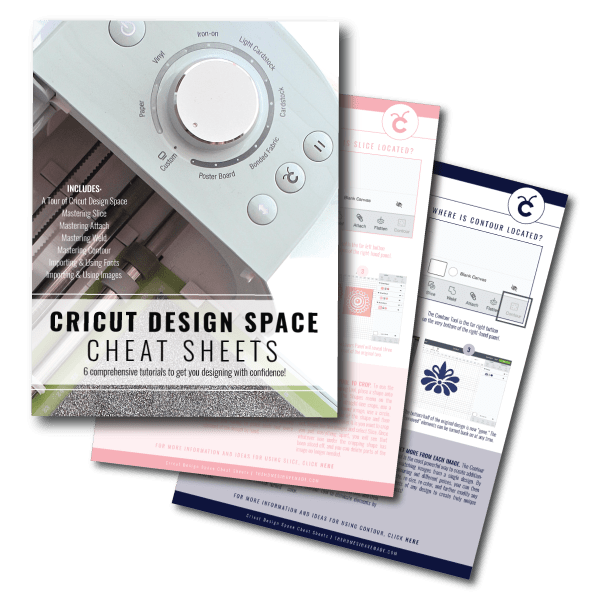 This saved me both time (easier installation) and money (less paper required!). If you have kids in the family, think about 1) the things they use most often and 2) where they can easily reach. 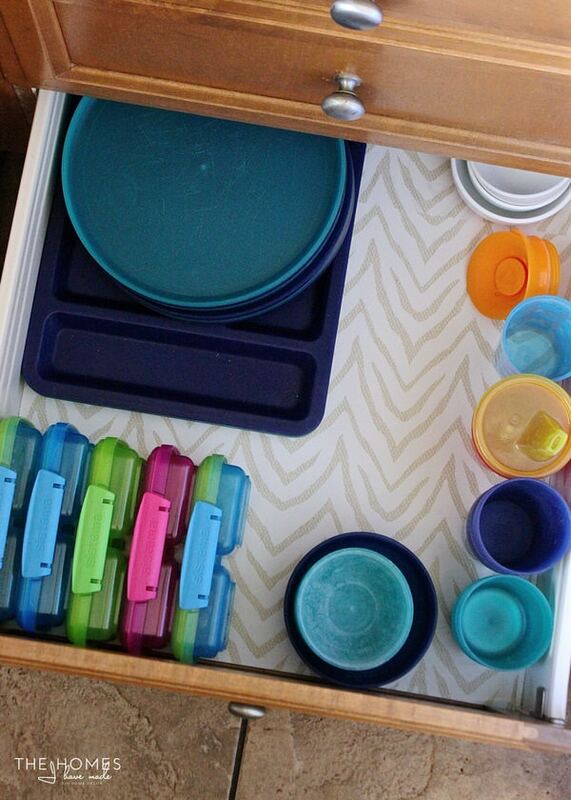 This is especially important if you have little, little ones: stock your most accessible drawers with safe (and even fun!) kitchen items because babies do empty them! This holds true for bigger kids too. In our last house, we unintentionally put all of Henry’s cups, plates, and bowls in a low drawer. Over time, he discovered he could help himself, meaning he no longer needed our help in getting a snack or a drink. It worked out so well for us that we were sure to repeat it in this house. 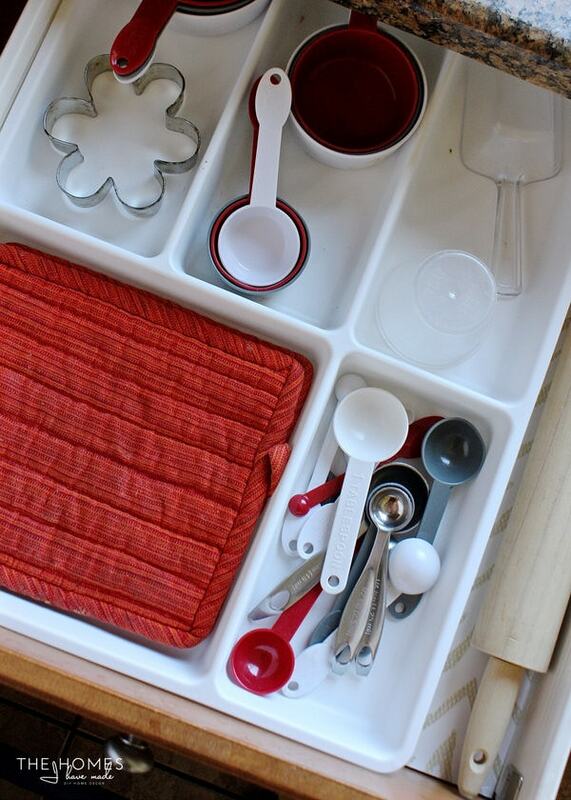 As such, the bottom-most drawer holds all of his plates, cups, trays, and bowls. Not only does having these things low help him be more self-sufficient, but it keeps our other cabinets tidier since we’re not trying to stack adult and kid-friendly dishes all together! Okay – let’s move to the other side of the kitchen for the final three drawers! In our smallest drawer, I was able to fit one IKEA organizer (this time arranged vertically), leaving room along the side for our rolling pin. 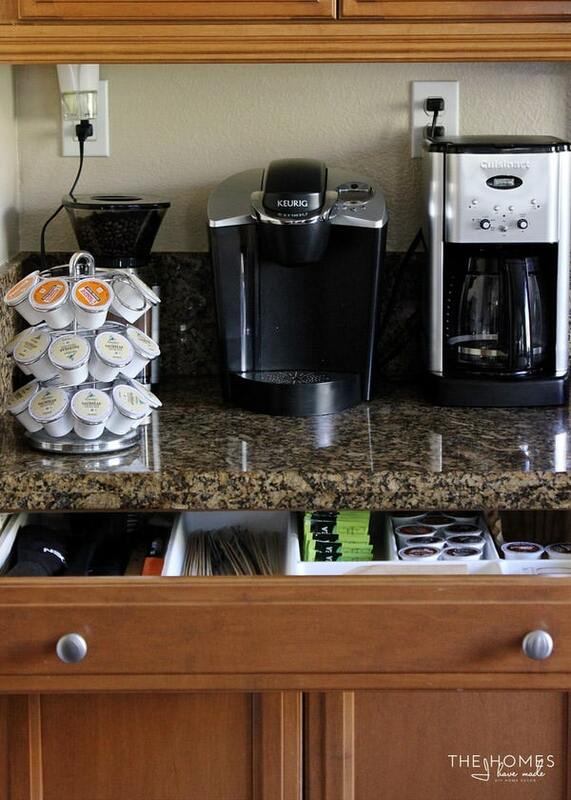 As I mentioned, not everything will fit perfectly into an organizer, but you can still make a dedicated spot for those items by strategically placing the organizer. 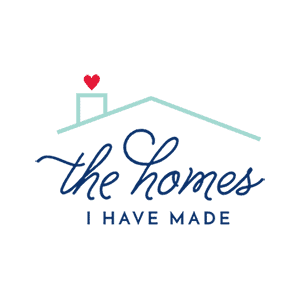 So far, you’ve seen that we have all of our “junk” (office supplies, tools, and other random things), tupperware, kids items, plastic bags/wraps stored in general categories. In this drawer, we have mostly items that are used for measuring corralled all together. Not only does storing like items together tend to create tidier spaces, but it helps everyone in the household learn and know where everything belongs. In between this small “measuring” drawer and the stove is our biggest kitchen drawer, and we use it to store pretty much everything that doesn’t fit into any of the other locations! I was pretty giddy when I discovered that 3 different IKEA organizers fit perfectly edge-to-edge in this drawer, using up every last inch and providing me with 9 different compartments to put things in. Again…measure and plan before you shop! Since this drawer holds lots of different things, I tried to balance “categories” of items with how they fit into the organizers themselves. My overall goal in this drawer was to give everything a logical home where it could be easily seen and accessed. 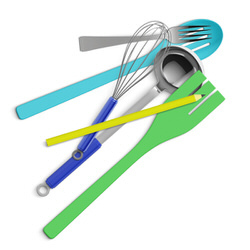 Serving utensils are together, juicers are together, cutting utensils are together, etc. But even in situations where the “categories” don’t hold up, the dividers themselves keep things loosely separated, preventing everything from sliding all around this big drawer as it’s opened and closed! 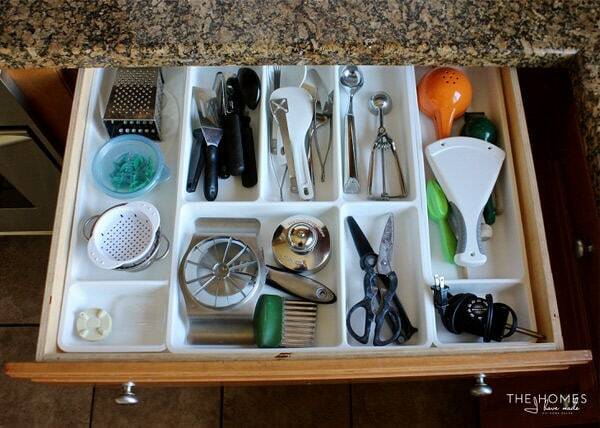 This is true all around our kitchen, but is best exemplified in these next two drawers. 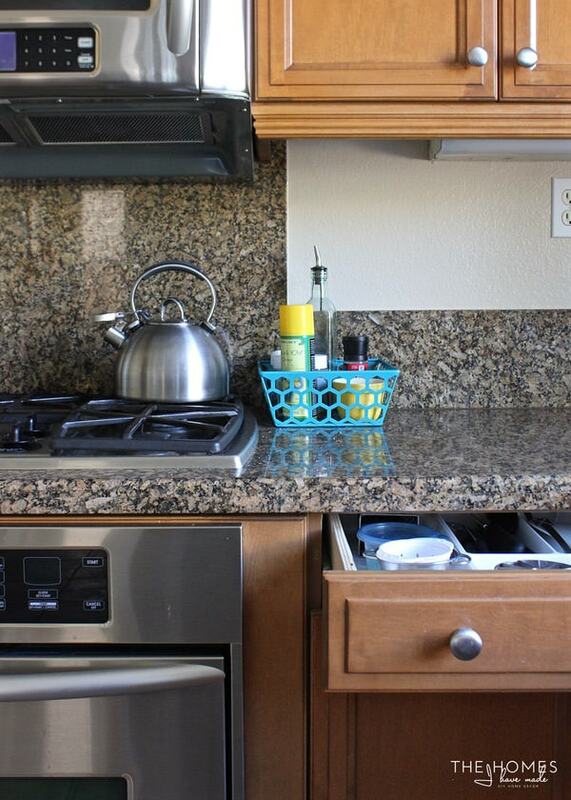 When deciding where things should go, think about how you use and move through your kitchen. 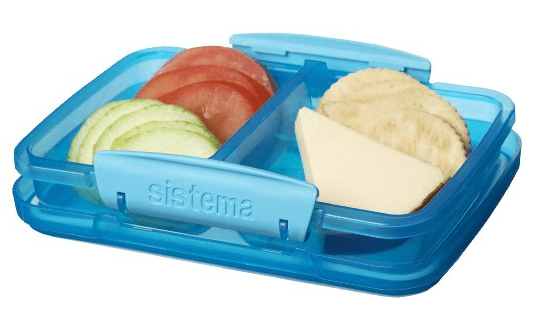 Where do you pack lunches? Put baggies and lunch containers there. Where do you meal prep? Put bowls and measuring cups nearby. 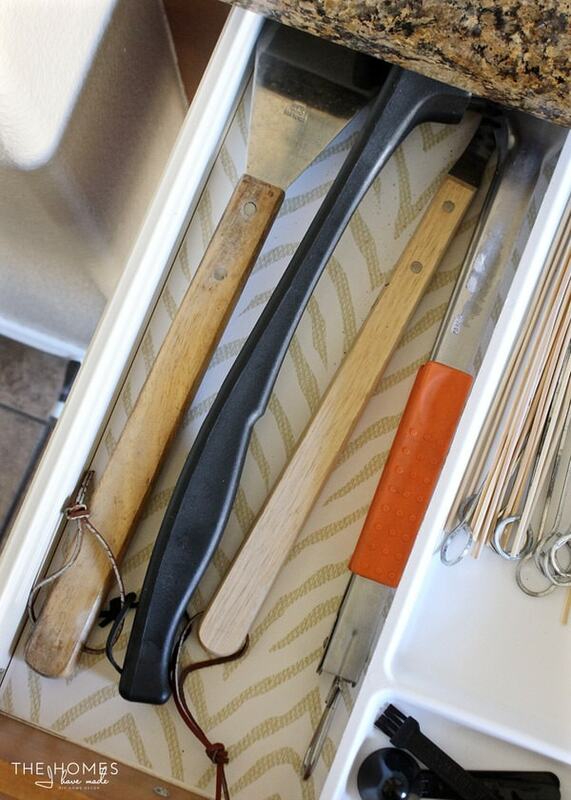 The two drawers I just showed you are right next to the stove, making it easy to grab items as I need them. 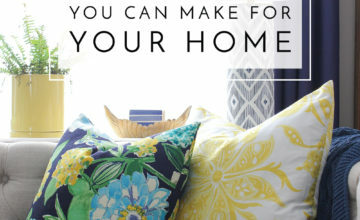 If you’ve lived in your house for a while, you should have a pretty good idea where you use items. If you are just moving in, I recommend living in your house for a few months before organizing your drawers “for good.” After about 2 months of living with chaos in our drawers, I had learned our space enough to finally tackle them right! 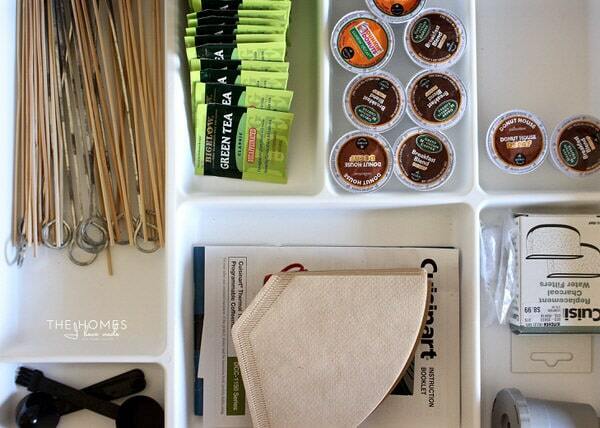 In the drawer right below, we have all of our filters, scoops, tea bags, and excess K-cups. In some cases, it helps (both visually and spatially) to remove the packaging items come in. You all know from how we store foods in our pantry that I try to get rid of packaging when I can, but I find it can be helpful in drawers too. For example, by taking the coffee filters, tea bags, and extra K-cups out of their bulky boxes, they now fit better in this drawer (when before, they didn’t fit at all). Plus, with things out of packaging, it’s easier to see when you are running low or out of a particular item! 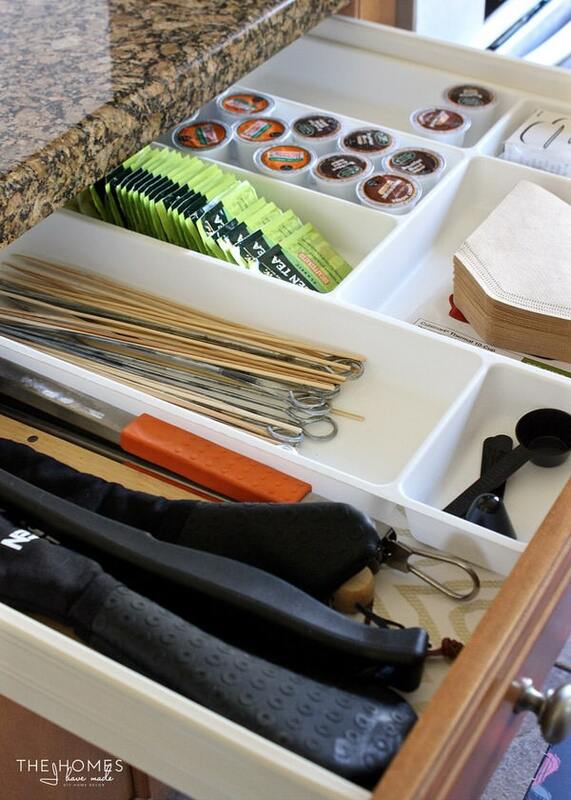 For easy reference, here are the products I used in this drawer organization project! 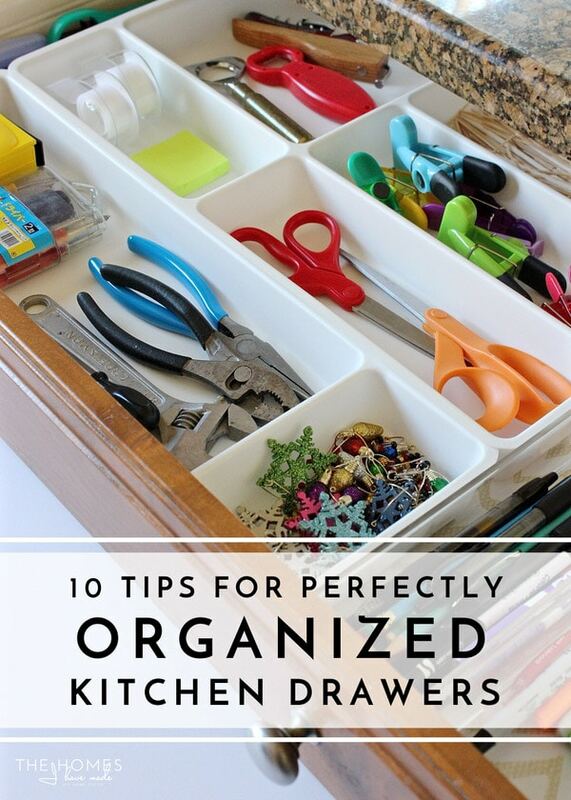 I do hope you found some helpful tips here whether you need to get one or all your drawers tidied up. 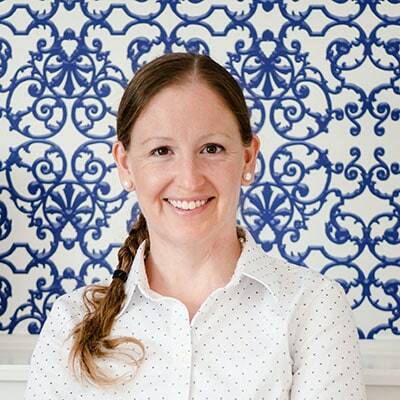 Also, if you’re looking for more kitchen organization and guidance, be sure to sign up for my FREE 5-week email course where I help you work through every area of your kitchen one week at a time! I’d love to hear any good tips you have to share, as I’m always looking for ways to refine our system! Feel free to share what’s working in your kitchen in the comments! Back here on Thursday…nursery plans revealed! I can’t wait! P.S. 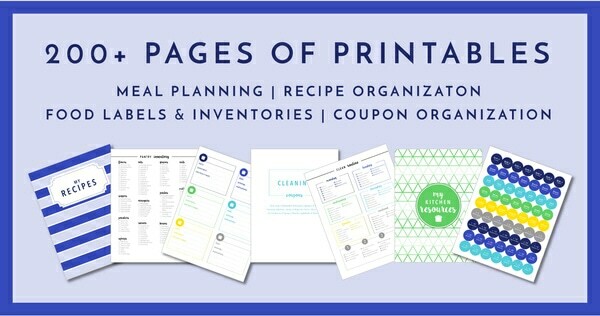 Be sure to check out my collection of over 200+ kitchen organization printables to get every area of your kitchen, meal planning, and grocery shopping organized and on track! 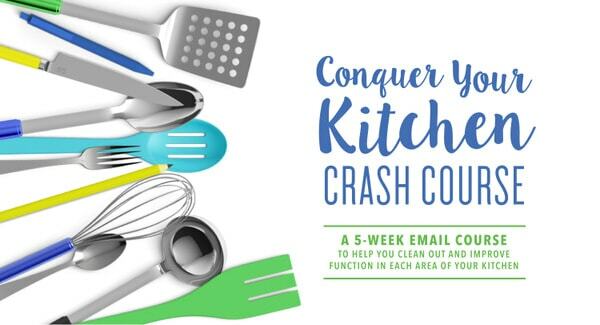 My FREE 5-week email course will help you CLEAN OUT & IMPROVE FUNCTION in each area of your KITCHEN! You did it!! Now check your email to confirm your enrollment.